Once upon a time Dayton attracted numerous well known authors who came to town for book signing events. Some weeks there would be multiple big name scribes passing through. We almost took it for granted. Almost. A number of factors have contributed to Dayton's relegation to becoming just a literary hub in fond memory only. 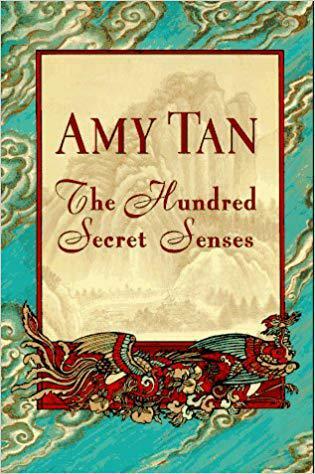 Suffice it to say that 23 years ago an author with the stature of Amy Tan came through our area on a book tour and she came out to the station in Yellow Springs to appear on the program for a live interview. I have interviewed Amy since then but there's always something special about that first time. She was publicizing her novel "The Hundred Secret Senses" and when she walked into our air studio I was playing the new album by Adiemus. She found the music to be entrancing. As you listen to this interview from 1995 you'll hear it open with the ending of that particular musical selection. Amy brought her dog with her to the station that day. That particular circumstance almost contributed to a disaster. Listen to this edition of the Best of the Book Nook to find out what happened on that special day 23 years ago.